Save the Pen & Pencil! Take the Challenge! The other day, I purchased a card to send to someone I hadn’t heard from in a while. We’d lost touch with one another, (I typically send this person a birthday greeting every year, this year due to unnecessary preoccupations I forgot). So to make it up to them I decided that I would write them a handwritten note in a card. There was only one problem once I started to write it……my penmanship was horrible!!! I BARELY WRITE WITH A PEN OR PENCIL ANYMORE! So with that being said, I did actually finish my letter a full two pager and even wrote a sweet inscription on the card too:) Yeah, but you don’t want to know what kind of pain my fingers were in when I completed it! But all of this caused me to think that with things becoming so technological, we’re going to lose the ability and the personalization of handwriting. Most importantly, there may soon become a time, when the pen and pencil will cease to exist. But because I’m such a problem solver…I’ve decided to challenge myself. How will I fix the problem? I’m challenging myself to write at least one handwritten note a week to someone that I feel could use encouragement or just a little a little token of affection. We spend so much time focused on ourselves, at time we don’t recognize that the small things matter so much to people. But it’s a win/win, because you don’t lose the ability to write grammatically correct, (with short hand being used so much, you’d be surprised at how many mistakes you’re sending) and improve your penmanship. After all, if you don’t use them…you WILL lose them. So I’m challenging you to do this as well. How many are on your sick and shut in list at church? How do you think they’d feel to receive a handwritten note, just letting them know you’re in their thoughts/prayers? How many people in your family could use the simplest handwritten words of encouragement? What about friends in groups on Facebook? What about your clubs and organizations, where you say you care…what could happen if you just went an extra step to send them a thank you note that shows you value their friendship? What about teaching your children to do those things? What about encouraging your Sunday school group, or your bible study group? It’s 44 cents a week. So go ahead! 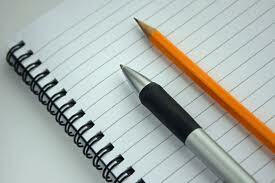 Save the pen & pencil from becoming obsolete! And help enhance a life too!!! This entry was posted in Book Marketing, Lessons Learned, Uncategorized and tagged boosting self esteem, challenge, Christian love, encouragement, english, Love, pen and pencil, penmanship, postaday2011, postaweek2011, writing, writing a letter. Bookmark the permalink. I guess you’re right Jacquelyn. But I wonder will the signature be going away next. Thanks for your comments.